Thread: T-35 & other multiturret tanks. Whatever, it was it's a monster.. 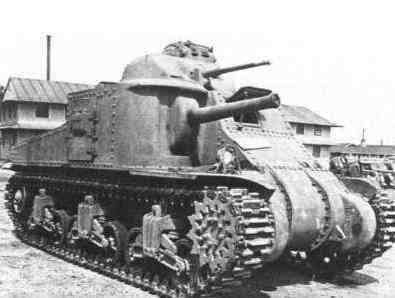 This is first soviet heavy T-35. It was prodused 61 T-35 different of modification since 1932-1939.
in spite of great mass (52 tonn) the tank had just 23-mm armor - too thin for effective fight in 1941. Last edited by Chevan; 08-25-2006 at 02:25 PM. I always had this configuration pegged for a french creation. Don't know why. It's look like british 5-towers tank A.I.E.I «Independent» (1929). Has anybody photo of this monster? Thanks for identifying the T-35. ...at any time if you please. The Vickers Independent was experimental british tank. It was built not much of these tanks, therefore the photo is so rare. The Independent had a central gun turret with the 3 pdr (47 mm) gun. To the front two subsidiary turrets each with a Vickers MG, to the rear two more turrets, again each with a single Vickers MG but able to elevate to engage aircraft. A single prototype was produced in 1926. The T-35 seems almost to be based on the WWI "land battleship" notion, as does The Vickers' Independent. Seems to shout more of a political propeganda statement more than it does military effectiveness. Certainly ,T-35 was developed in 1931 , it's based on experiense of WW1. Already at the end of 30 yy multi-tower tanks proved their insolvency. During March 1930 for the rendering to technical assistance into the Soviet Union were invited the foreign specialists, in number of whom there was German engineer Edvard Grotte. Under his management to the autumn of 1931 at the Leningrad plant "Bolshevik" was developed and prepared the experimental medium tank TG. But this tank did not go into the series production. The works on TG were ended, and it was decided to refuse from further services of Grotte. But even during March 1931. Grotte proposed OF RKKA two versions of 1000-ton monsters with the installation of armament in three or six towers. The idea of multiple turrets was, in age where many turrets were traversed by hand power, an attempt to enable tanks to engage multiple targets. Even modern tanks often have independant cuppolas for the machine guns. See the M3 General Grant. It had a "traditional" tank turret on the top, and an extra gun on it's front right wing. Some had a third turret on top of the "traditional" turret, fitted with a MG for use against soft targets and aircraft (?!). M3 General Grant proved its weakness even aginst german T3/4. This generation of multi-tower multi-guns tank die till ww2 in german and soviet tank's industry. "The idea of multiple turrets was, in age where many turrets were traversed by hand power, an attempt to enable tanks to engage multiple targets. Even modern tanks often have independant cuppolas for the machine guns." Not just to engage multiple targets, but mostly to engage targets different in nature. Early war tanks were either equipped with a relative large caliber-short barreled gun for HE rounds or with small-caliber-large barreled guns for AP purposes. This is due to the fact that the High Explosive rounds require a great explosive charge rather than shell velocity like the Armor Piercing rounds. The turret on top of the M3 is fitted with an AP-gun whereas the turret on the side is fitted with the HE-gun. Later on in the war guns were created that could fire AP rounds as well as HE rounds. A nice example of that is the change of the Pzkfw IV from the short HE barrel to the longer HE/AP barrel. I'm not sure that's true in the case of the Grant, It was only a "stop-gap" tank between the feeble training and light tanks that the underfunded US Army had previously fielded and what became the M-4 Sherman. The Pentagon had not yet developed a turret that could hold a bigger 75mm gun, so they settled for it in the hull, with the standard pre-War Army 37mm anti-tank gun in an already proven turret design. I'm not exactly sure what you are trying to say. But yes the U.S. lagged behind in tank design, and we knew it. But actually, the British Army had some good success with the Grant in the early part of the Desert War when first introduced, they were an improvement over anything they had previously, and the hull mounted gun's drawbacks could be tactically compensated for somewhat. The Germans also used their hull mounted guns to good effect (mainly defensively) in their Jagdpanzers, so the concept is not without merit. In fact, the U.S. Army rejected Walter Christie's suspension system, a system that the T-34 largely incorporated. Last edited by Nickdfresh; 09-18-2006 at 11:40 PM. The Germans also used their hull mounted guns to good effect (mainly defensively) in their Jagdpanzers, so the concept is not without merit. The succes of the hull mounted gun is proven, but the Jagdpanzers (as well as the Sturmgeschutze) had a much lower profile (as did some post-war Swedish tanks with hull mounted guns; the Stridvagn 103 for instance). However, to fire at anything but tanks, the Grant had to expose itself tremendously which rendered it quite vulnerable. But that the tank design did work, is proven by the fact that the chassis and the track system itself is mostly used in the Sherman.